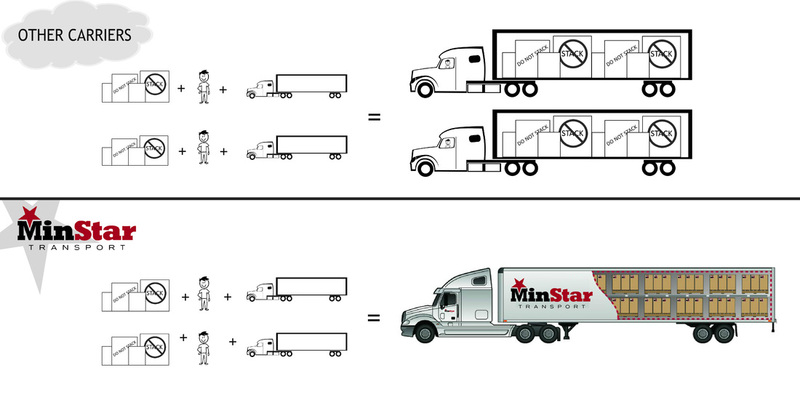 Do you get every other load hauled for half price and free ​of fuel surcharge? That's what we do for our customers all the time! 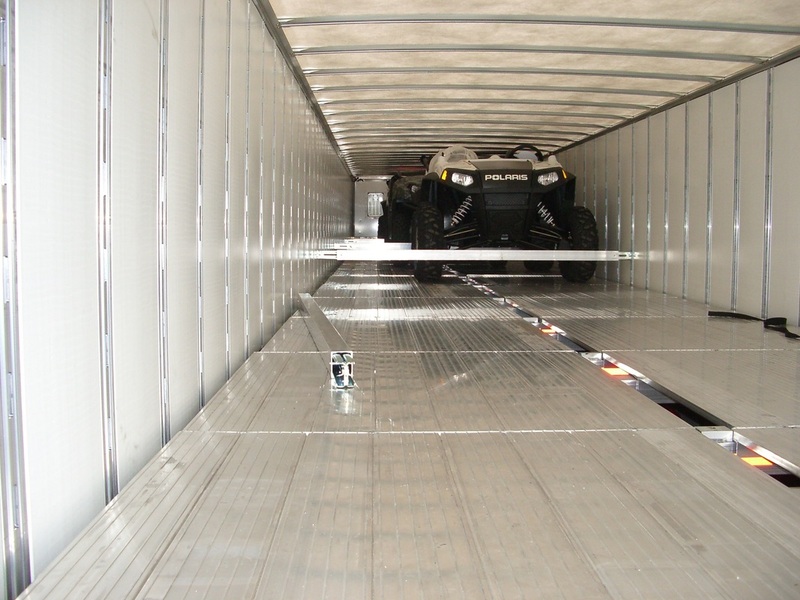 The Double Deck Trailer System deploys a second floor within the trailer which provides two levels of freight to be securely hauled in one trailer. 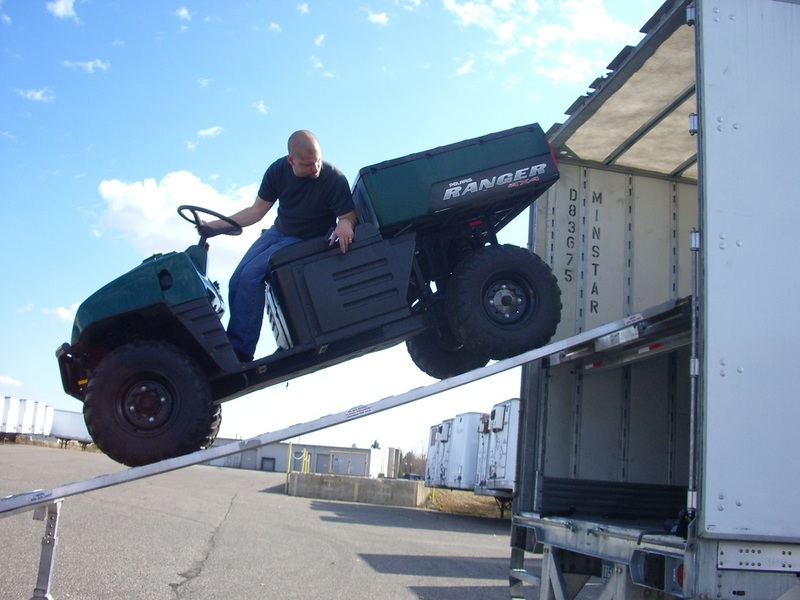 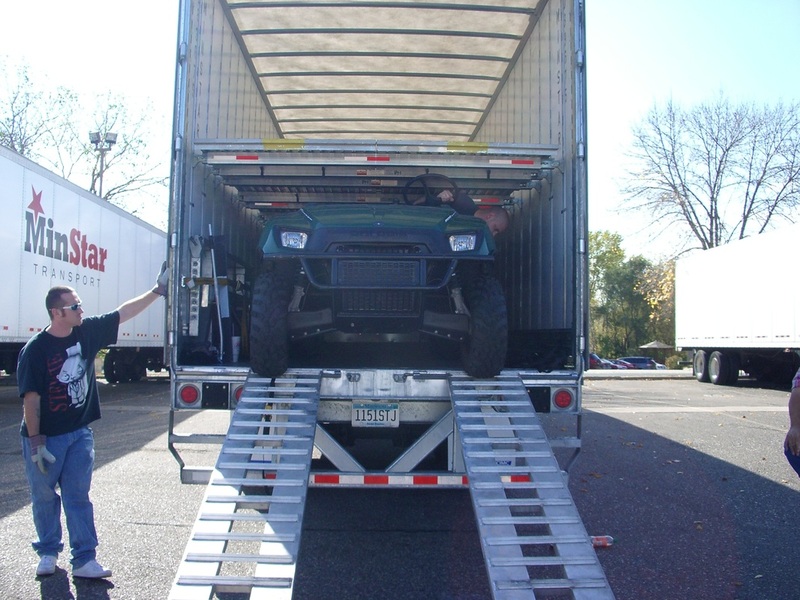 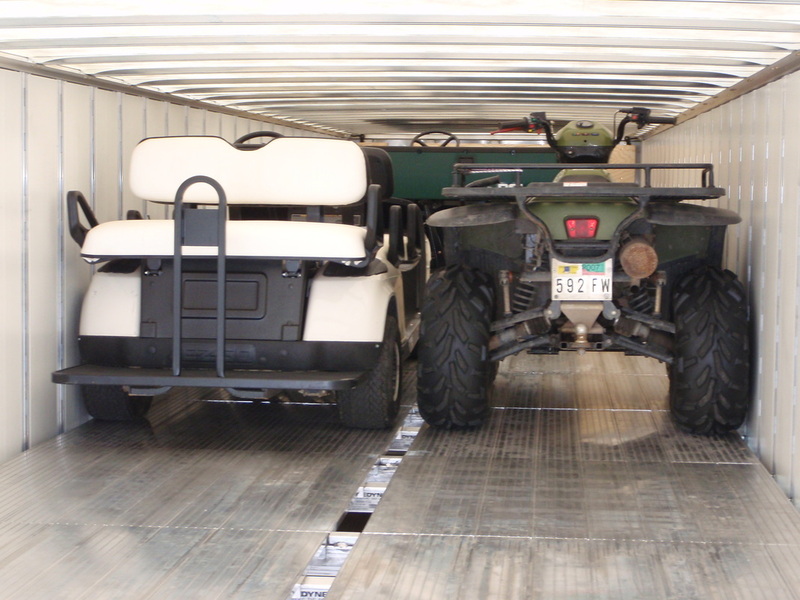 Thus, shippers now have the ability to maximize floor space by hauling up to two loads in one trailer. 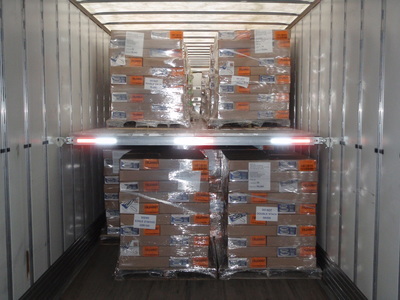 The system also helps to reduce fuel costs for shippers by only having to pay for one load versus two. 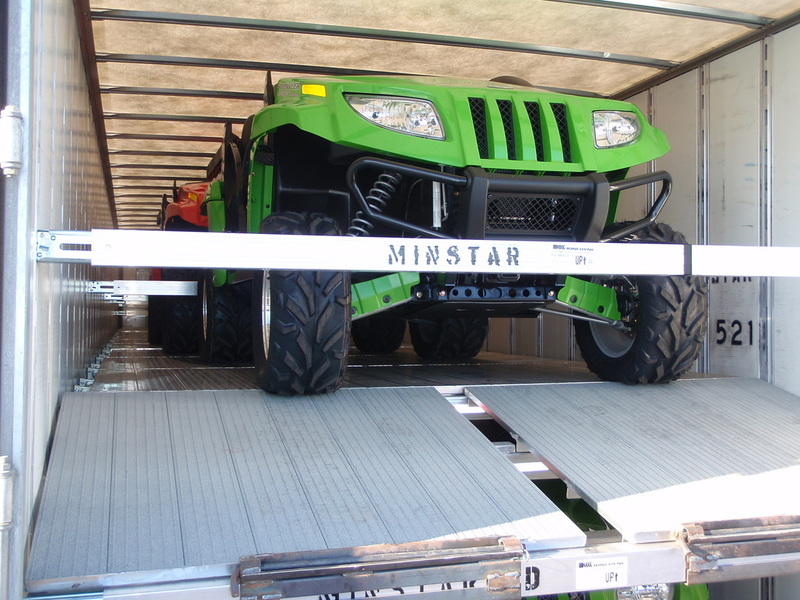 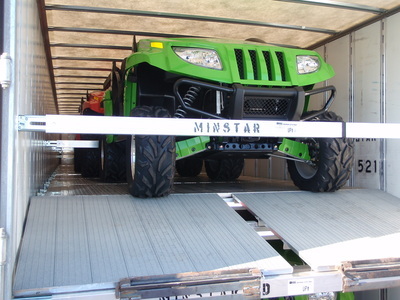 This innovative system was designed to maintain full trailer width and is stowed neatly at the ceiling of the trailer.